Hedgebook Pro is a cloud-based deal capture, valuation and reporting tool for commodity, foreign exchange and interest rate derivatives. Hedgebook Pro provides the tools required to ensure finance professionals have full visibility of their portfolio details, valuation and CVA / DVA values. 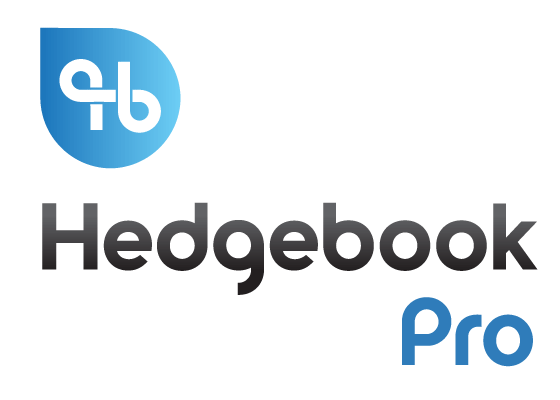 Hedgebook was formed in 2011 with a mission to provide an alternative to spreadsheets, at a palatable price point, when managing financial instruments and derivatives. Ever since, our team of financial experts and software developers have been working hard to create tools that make the lives of fellow finance professionals simpler. As pioneers of the Cloud we were one of the first in the world to offer an online derivative valuation solution. Easy to use, intuitive and affordable is our ethos in an increasingly regulated financial world. Hedgebook has been developed by experienced treasury practitioners who understand the complexities of the financial markets but who can present it in an easily understood format. Hedgebook makes recording, reporting and valuing FX forwards, options and interest rate swaps easy. Although our technology is used by major accounting firms and fintech firms, Hedgebook is targeted at the SME market who are grappling with the complexities of financial instruments and are probably using spreadsheets to do it. Broad coverage Hedgebook Pro covers a broad range of FX, Interest Rate and Commodity derivatives from vanilla through to the more complex. With Hedgebook Pro you can record your entire portfolio in one system and gain visibility of overall and individual positions. Independent valuations Hedgebook Pro's daily rate feeds allow users to generate independent, up-to-date valuations for both management and audit purposes, meaning you no longer need to rely on your banking partners for valuations. CVA / DVA calculations Hedgebook has an easy to use CVA/DVA module to ease compliance requirements with the now mandatory AASB13/IFRS 13. Concise reports A suite of clear and concise reports puts valuable information in the hands of key decision makers. Cash flow management is simplified, performance against treasury policy is always visible and detailed reports for management, Board or audit purposes can be quickly produced when required. Intuitive user experience Hedgebook Pro is designed to be simple and intuitive, not requiring extensive user training. Our experts can get you and your team up and running with a short training session. Supported by treasury professionals Hedgebook Pro is backed by the support and assistance of treasury professionals who both understand the system and are experienced in financial risk management. Security Hedgebook has successfully completed the ISAE 3402 audit (formerly SAS 70), therefore certifying our systems and processes as reliable so our customers can rest assured that their data is safe. Hedgebook's review was conducted by independent audit agency Grant Thornton.